Farouk Systems picks the best Oscars Hair & creates step by step photo tutorials for their top looks. 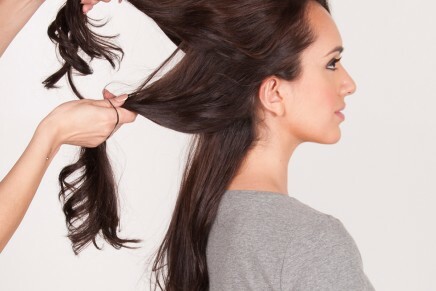 1 Create a natural side part in the hair using your fingers. Curl the hair in 1” sections, wrapping the hair around one side of the vertically positioned CHI G2 1 ¼” Hairstyling Iron. 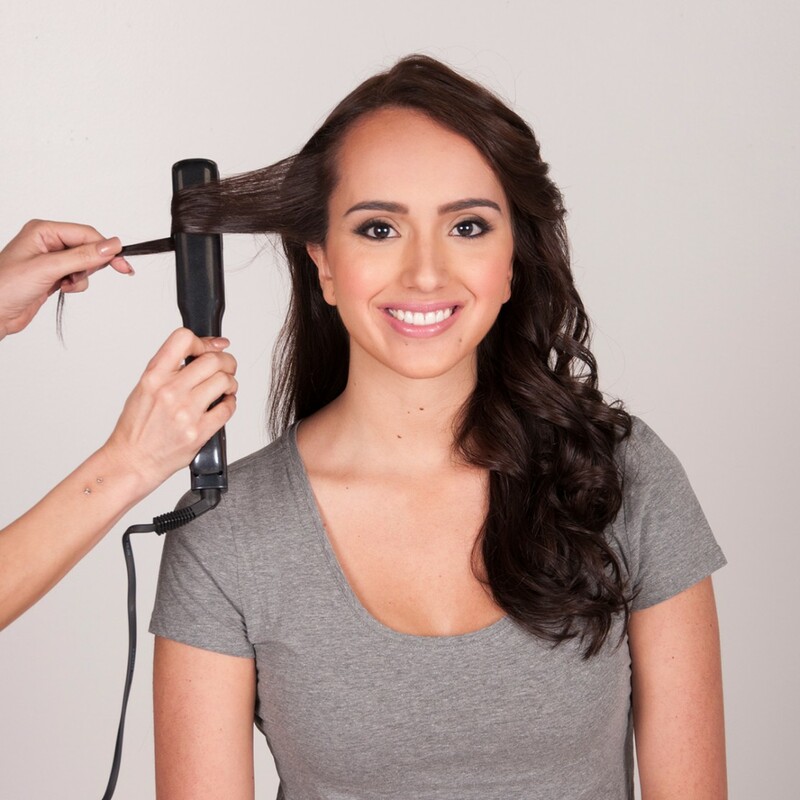 Allow each curl to naturally form as you glide the iron through the hair. 2 Once entire head is complete, run fingers through the hair to loosen the curls. Mist hair with BioSilk Natural Hold Finishing Spray. 3 Divide hair into three horizontal sections. Pin bottom two sections away for later. 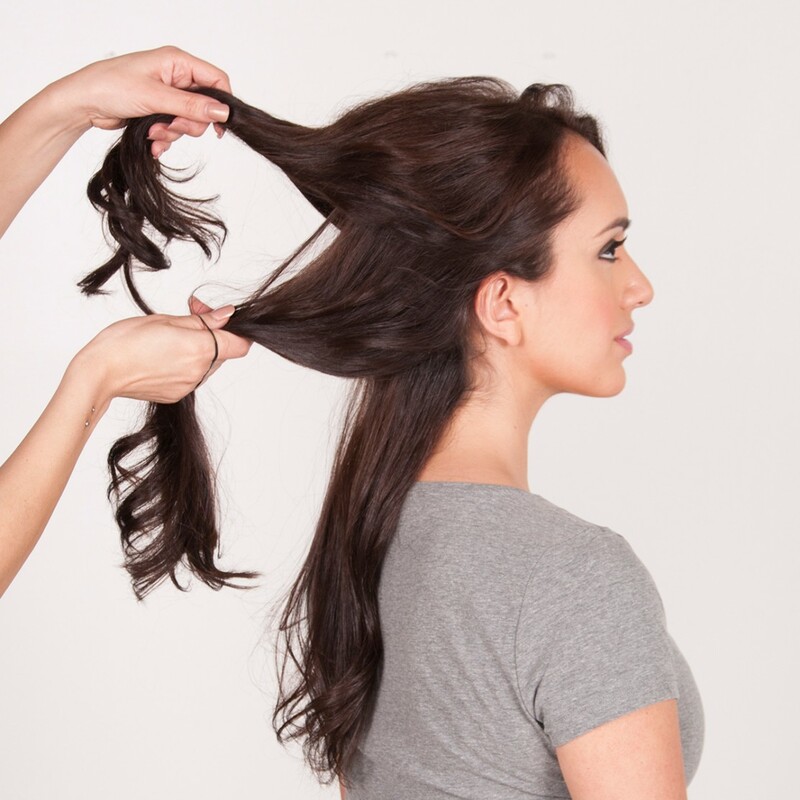 4 Create a loose ponytail at the top section with a clear elastic band. 5 Loop hair through the band, creating a mini messy bun. 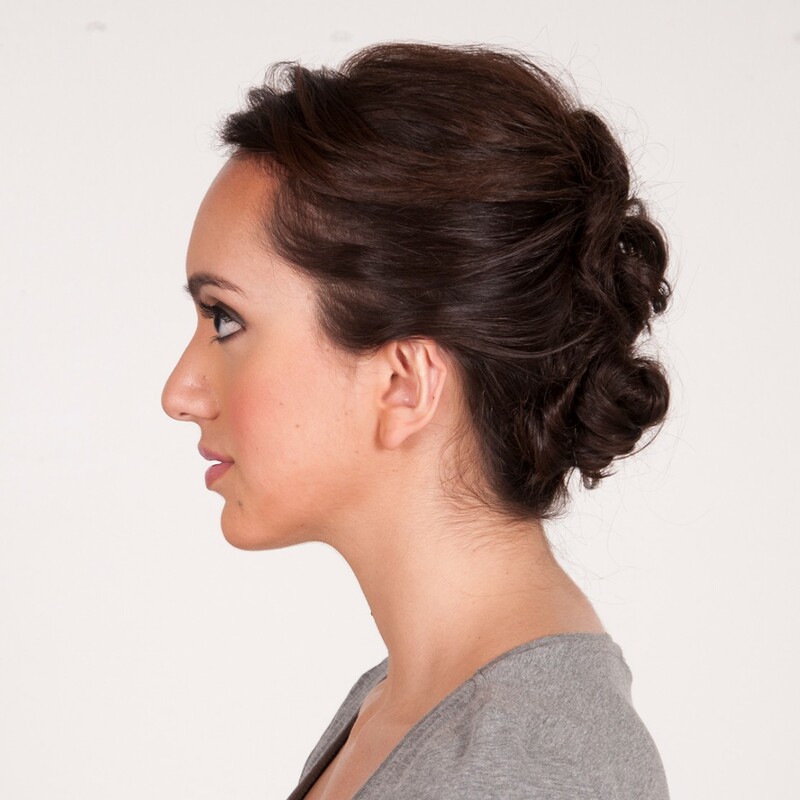 Flatten the bun, using bobby pins to hold style in place. 6 Repeat Steps 4 and 5 for remaining bottom sections. 7 Add texture to the sides by pinching together small sections of hair and misting BioSilk Natural Hold Finishing Spray on the side areas. 8 Add a touch of glow by misting BioSilk Shine On to complete the tousled look.